She's a curvy baker who can’t see past her insecurities. He's a detective determined to prove his affection. Will this be a perfect recipe for romance or heartbreak? 5.0 out of 5 starsLOVED. THIS. SHORT STORY! This was a wonderful quick read. Loved that the detective didn't back off when his friend said be could do better. He showed the respect any woman deserves no matter her size. Definitely recommend this book and author. 3.0 out of 5 stars...perfect just the way she is, and perfect for him. 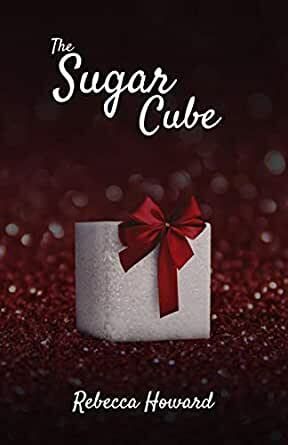 Charlotte found her niche creating confectionery delights, leading her to open her own bakery The Sugar Cube. When detective, Adam visits the bakery he is immediately smitten with the lovely owner. Charlotte is doubtful that the flirtatious overtures from Adam are genuine. He'll have to woo Charlotte breaching her insecurities. Proving she is perfect just the way she is, and perfect for him. The brevity of the story doesn't allow for more interaction between the leads that I would have liked. I read a complimentary copy of this story. A quick, easy. and clean ( PG-13) romance. This is a wonderful story that teaches us how we are always more critical in how we see ourselves. Others see us so differently and in a much brighter light. Charlotte loved her bakery and was an incredible baker. But her insecurities were something she struggled with. She had curves that she was unhappy with and felt like no one else would ever see her as any more than how she saw herself. But Adam came into her bakery and he saw her as beautiful because of the way she looked. He saw the beauty inside and out. But can he love her when she can't love herself? A truly incredibly well-written book that I think is a must read for everyone. A romantic read of love and belief. I voluntarily read and reviewed this book and this is an honest review. Charlotte is a curvy woman who has endured societies issues with size. Adam is a detective who isn't afraid of the beauty he sees. This story is very short but it packs a wallop. Bulling, introverted personality, and lack of find confidence are touched on, all in good way. The following quote is representative of the story, "It wasn't him that wasn't accepting her, who was judging her and being cruel to who she was. it wasn't him .... It was her." I received this book free as an ARC for my honest voluntary review.